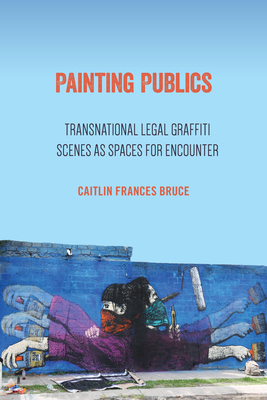 Painting Publics draws on a combination of interviews with more than 100 graffiti writers as well as participant observation, and uses critical and rhetorical theory to argue that graffiti should be seen as more than counter-cultural resistance. Bruce claims it offers resources for imagining a more democratic city, one that builds and grows from personal relations, abandoned or under-used spaces, commercial sponsorship, and tacit community resources. In the case of Mexico, Germany, and France, there is even some state support for the production and maintenance of civic education through visual culture. In her examination of graffiti culture and its spaces of inscription, Bruce allows us to see moments where practitioners actively reckon with possibility. Caitlin Frances Bruce is an Assistant Professor of Communication at the University of Pittsburgh. Visit her online at caitlinfrancesbruce.com.